The goal of the new teacher evaluation rules is to foster professional growth, not to be punitive, said Commissioner Mitchell Chester. MALDEN — In a dramatic departure from past practice, students’ MCAS scores and other achievement data will become key barometers in evaluating the performance of their teachers and administrators, under new criteria the state Board of Elementary and Secondary Education approved yesterday. The measure, adopted in a 9-2 vote, replaces 16-year-old regulations that merely suggested the use of MCAS scores in evaluations, a provision that most districts ignored. Now, student achievement must be a “significant’’ element of an evaluation, although no specific percentage is attached to that requirement. State education officials hope that by zeroing in on student achievement, teachers and administrators will gain a stronger understanding of how they can be more effective in pushing ahead the academic fortunes of a classroom of students or an entire school. The new rules also call on districts to reward outstanding teachers, to develop one-year improvement plans for ineffective teachers, and to give permanent status to teachers only if they gain proficiency within three years of being hired. In introducing the regulations, Mitchell Chester, the state’s commissioner of elementary and secondary education, stressed the goal is to foster professional growth and not to be punitive. About 10 districts, including Boston and Springfield, will test the regulations in their underperforming schools this fall, while all other schools statewide have two years to put the new evaluation system in place. In many cases, the districts will have to negotiate changes with teacher unions, some of which remain skeptical about the use of test scores and merit pay to reward performance. Teachers are not the only skeptics. Ruth Kaplan, the board’s parent representative, predicted that the new rules would diminish the quality of instruction. “We are going to see more teaching to the test,’’ Kaplan, a critic of standardized testing, said before casting a dissenting vote. Massachusetts joins more than a dozen states that have adopted regulations or laws in the past two years mandating the use of standardized test scores and other student achievement data, such as research projects, in judging the effectiveness of those in charge of classrooms or schools. The Obama administration has been pushing states to adopt such changes and has been rewarding those that do with millions of dollars from its Race to the Top grant program. Massachusetts promised in its application for that program last year to make student achievement a substantial part of job reviews, helping the state to secure $250 million from the fund. “There has been a real growing sense that the teacher-evaluation system we have is broken,’’ said Sandi Jacobs, vice president of National Council on Teacher Quality, a nonpartisan research and advocacy group, that has uncovered problems with teacher evaluations in districts nationwide, including Boston. Some states, such as Colorado and Tennessee, mandate that at least 50 percent of a teacher’s evaluation must be based on their students’ achievement. The Massachusetts Business Alliance for Education had pushed for a specific percentage and still prefers such a step, but is pleased that student achievement will finally be part of the equation in judging educator performance. Under the Massachusetts regulations, school districts will be required to use MCAS scores and other measures of student achievement to establish trends to determine the effectiveness of teachers or administrators. Evaluators will have the discretion to override negative student achievement if other evidence, such as classroom observations, indicates a teacher or administrator has sound pedagogical or management skills. Evaluators will place a teacher or administrator in one of four performance categories: exemplary, proficient, needs improvement, or unsatisfactory. Local districts will decide, based on negotiations with unions if applicable, how an exemplary teacher might be rewarded. Unsatisfactory teachers could face termination if they fail to improve over the course of a year. 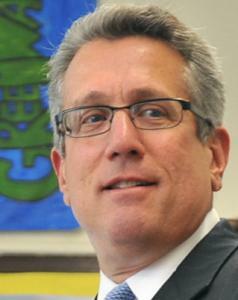 Should districts not honor the regulations, Chester has said he would seek sanctions, such as withholding state funds. Teachers unions initially expressed opposition last year when the state began to explore the idea of judging teachers with results from the Massachusetts Comprehensive Assessment System exams. In many instances, they argued such a move would create inequitable evaluating standards because only about 18 percent of teachers statewide actually teach classes in which students are tested on the MCAS. But attitudes changed as a state task force appeared to embrace the idea of multiple measures of student achievement. In December, the Massachusetts Teachers Association, the state’s largest teachers union, stunned many policy makers and angered some of its affiliates when it released a proposal to overhaul evaluations that endorsed the use of MCAS scores. That proposal served as the basis for the task force recommendations to Chester, who included many of them in the new regulations. Even the American Federation of Teachers Massachusetts, which represents Boston teachers and remains skeptical of using test scores, struck a conciliatory tone in comments to the board yesterday, pointing to provisions that it liked, such as giving teachers a role in evaluating other teachers. “We do believe there is a place for student learning [as part of evaluations], but it must be broadly defined,’’ said Tom Gosnell, the federation’s president. Administrators largely supported the proposal, although many of them along with some teachers expressed concern about principals and other evaluators having enough time to do the evaluations and to monitor the progress of any educator on an improvement plan. Boston schools Superintendent Carol R. Johnson will brief principals on the new regulations this week as the district revs up evaluation efforts. A National Council on Teacher Quality report last year found about half the teachers in Boston public schools had not been evaluated in two years and that a quarter of schools did not do any evaluations. The district is establishing a new office of teacher and principal effectiveness, and is negotiating the new regulations with the union.